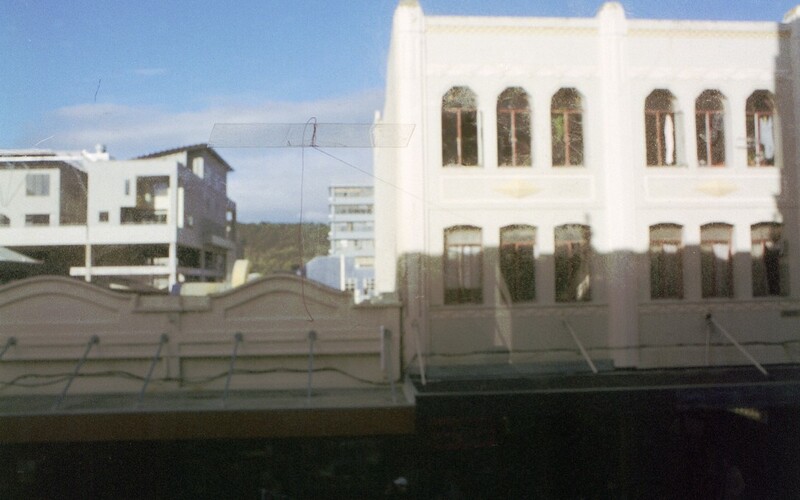 This work involved two cotton threads running from the windows of the gallery and across to adjacent buildings, one being across Cuba Street. 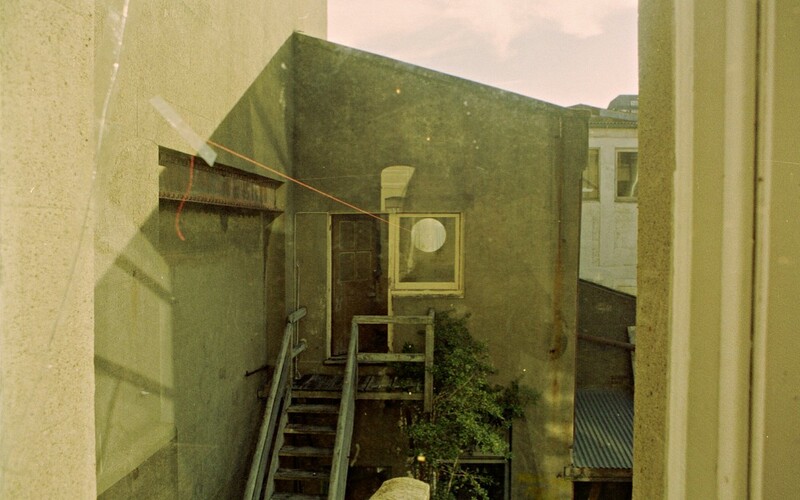 The threads were attached to each window by a piece of clear tape. This work involved a physical projection out into the community as well as our first negotiation with members of the community to use their property as part of the work. There was a sense of poetry in this work, the obvious and simple use of materials alluding both to the spaces between these edifices we see and to the expressly empty space that came to exist within our gallery space.